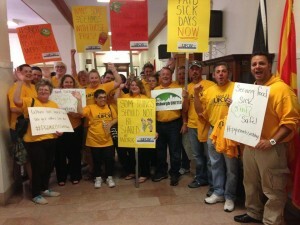 Last week, Pittsburgh passed a law that guarantees paid sick days for every worker in the city. The victory was made possible by UFCW Local 23 members who spent weeks canvassing and building community support for the law. Thanks to their hard work, more than 50,000 Pittsburgh workers will be eligible to earn paid time off so that they have the opportunity to stay home and get better when they become ill.
UFCW Local 23 is building on the momentum from this victory and pushing for a statewide paid sick leave law so that all workers in Pennsylvania can enjoy the same benefit. 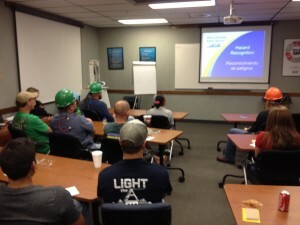 The UFCW has initiated a new health and safety program for workers in UFCW JBS plants. The program is a new joint effort with JBS to establish a uniform safety program for workers and management throughout the chain. This is the first time JBS and the UFCW have come together to create a program that is specific to keeping workers safe. The first part of the program focuses on training union reps, workers, staff, and JBS management to learn about identifying the underlying causes of workplace injuries, illness, and fatalities. The second part trains participants on how to correct, control, and prevent those workplace hazards. The ultimate goal is to develop a sustainable system where people in the plant know how to prevent hazards, how to identify them, and how to follow the correct procedures to efficiently correct hazards. 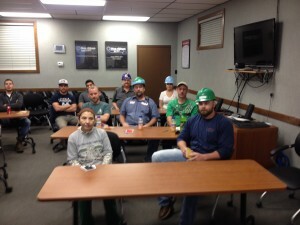 The health and safety program came about when UFCW staff initiated a meeting with JBS corporate safety staff out of concern for the safety and well-being of workers. During the meeting, both sides agreed that there was room for improvement in the health and safety protocols at the plants. A year later, UFCW and JBS finalized a plan to work jointly to address safety issues and develop the new health and safety program. “The joint training has been a very positive experience for all parties involved. It has provided some different ways of looking at the hazards in the workplace that most people overlook. 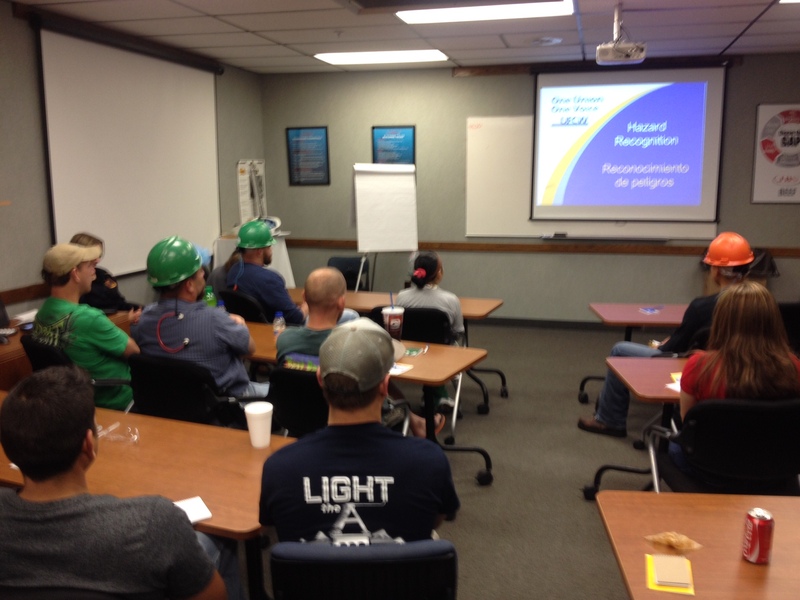 I am excited to continue with this training in our facilities and providing our employees a safer environment to work in,” said Marvin Spidle, corporate safety manager from the Federal Business Unit at JBS. The program began in January, and JBS workers at UFCW Locals 540, 1161, 293, and 435 have already gone through the first phase of the training. 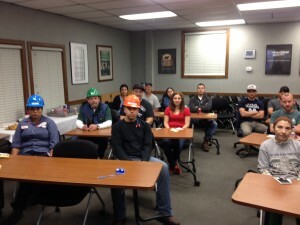 During the first phase of the program, workers and staff learned how to identify workplace hazards in their plant. Following the classroom training, participants then walked together through their plant to apply their new knowledge and identify any hazards that they learned about in the training. Some common safety hazards that workers are trained to spot include unguarded shafts and belts, slippery floors, narrow aisles, and unlabeled exposed pipes and electrical wires. 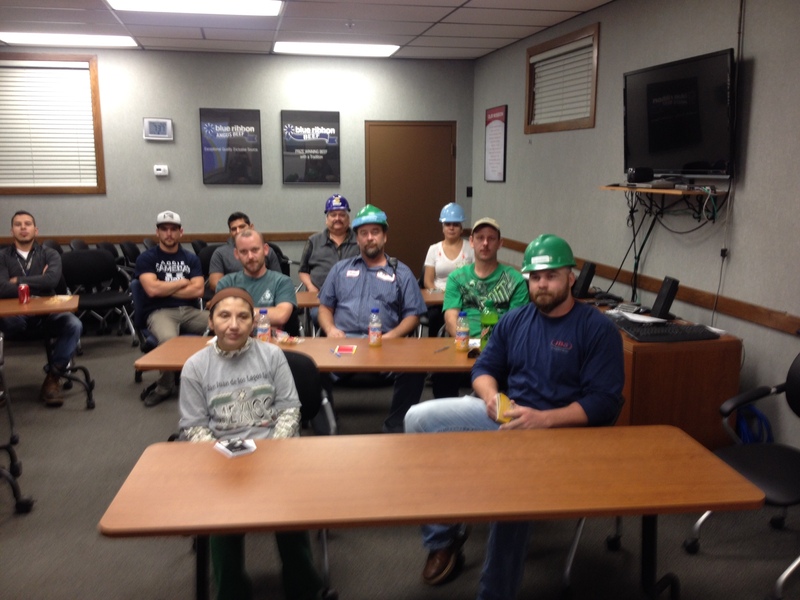 “It was great to see everybody working together in the setting to make our plant safer. 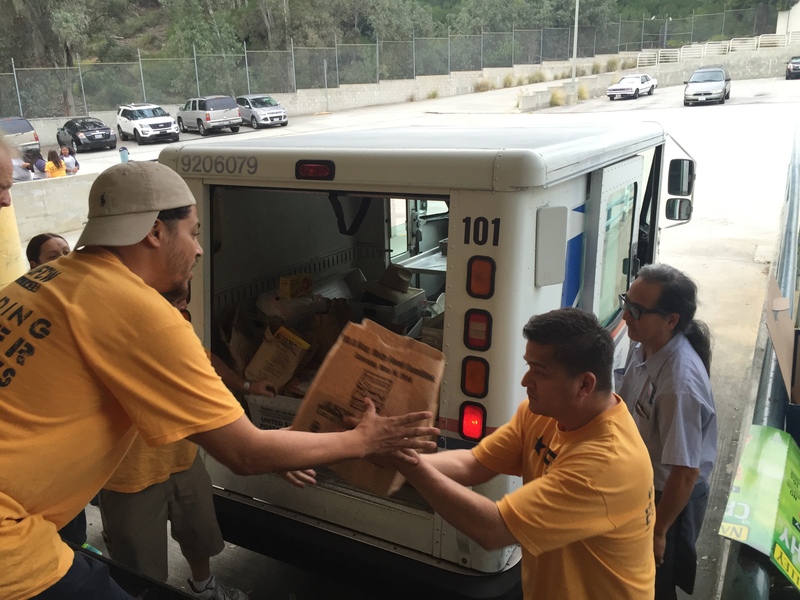 During our walk-through, it was good to have a new set of eyes to help spot hazards that might have otherwise been overlooked,” said Darin Rehnelt, a representative for UFCW Local 1161. The trainings last about six hours and are conducted in English and Spanish. Following the JBS plant trainings, the plan is to take the health and safety program to workers in the poultry industry, including those who work in JBS’s Pilgrim’s Pride plants. If you are interested in having a health and safety training in your local plant contact Kurt Brandt at kbrandt@ufcw.org. This Workers Memorial Day, we remember the hard-working men and women who have sacrificed their bodies, and in some cases their lives, to make a living for themselves and their families. While most Americans may never have heard of this day, the workplace tragedies that inspired it are real and continue to this day. As recently as 2013, 4,400 workers were killed on the job. If we are to end these workplace tragedies, we must work together – unions, corporations, government, and the public – to build a united front that is focused on stopping them. The best way for Americans to protect themselves is to empower them with laws that protect their right to speak out when they see something unsafe on the job. We must be unafraid to raise the alarm when conditions at their worksite become dangerous. We must make Workers Memorial Day a catalyst for great change. 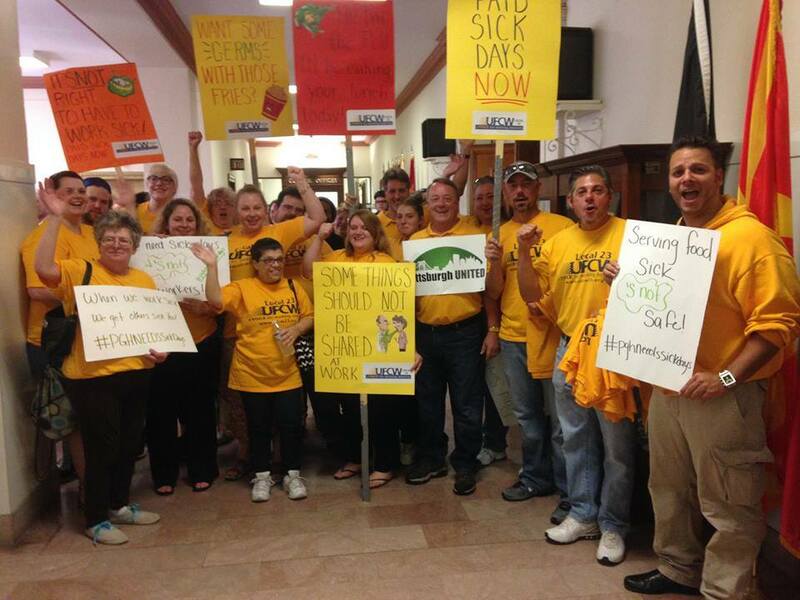 It is a day to come together and push to pass safe workplace laws that help workers, not protect the irresponsible. Let’s make it easier for workers to be protected in their workplace and bargain for safer standards. Let’s create an environment where corporations view workplace safety as a priority. Let’s use Workers Memorial Day to inspire us to save the lives that should never be lost. My grandmother arrived in America through the port of New Orleans and my grandfather through Ellis Island, both immigrating from Italy. Before my grandmother Gaetana met her future husband Joe, she stayed for a while in Louisiana among other Italian immigrants, and her brother worked in the cane fields. Unfortunately, Gaetana’s brother died while working out in the fields one day. The people who employed Gaetana’s brother never notified his family, and buried him in an unmarked grave. This sad occurrence was just one example of the experiences many immigrant families faced in those times. Eventually, both of my grandparents and their families moved to Texas where they became sharecroppers and farmers. Joe and Gaetana eventually met and married. The brothers protested, saying they had been told if they got the tools they could work, but the answer was the same. The brothers were forced to return to the hardware store and return the unused axes, but the store owner refused to take them back, leaving the brothers in debt to him, with no foreseeable way for them to pay him back. My grandmother Gaetana also had been teased so much about her Italian name in school that she changed her name to Agnes, and was harassed so badly for being an immigrant that she dropped out of school and never learned to read or write. Despite these hardships, my grandparents worked very hard as sharecroppers and were eventually able to scrape enough money together to buy a plot of land, which they farmed, raising cattle and other farm products. They were up at 5:00 every morning and out the door, checking on the animals, plowing the fields, baling hay, and keeping things going. The main thing I learned from my grandparents was that if you wanted something in life, you had to work really hard to get it. But if you did that, and respected people, then good things would come to you–and that you could in fact make it, even if you started with nothing. The other thing I learned, was just how important family was. In addition to working hard on the farm and garden, my grandmother always made sure we had a big traditional Italian Sunday dinner, with home-made spaghetti sauce. And my grandfather always told me, no matter what it was about, I could always come to my family with a problem or if I needed help. Seeing discrimination and experiencing it themselves, my grandparents were believers in respecting people–treating them fairly and decently, and that had a big impact on me. For many people, families are often your only support system. Today, so many people come to America for a better life, and have to find work and face all kinds of barriers, including discrimination. Many come all by themselves, and their families are far, far away. In these situations, who becomes your support system when you are treated unfairly at work? When workers stick together, that support system is each other. When you are going through the same experiences, or living in worker housing together, people learn to rely on each other and work together to make things better. I think that’s a big part of why I started getting involved in the union. America’s economy benefits from the hard work and contributions from immigrants, but they are often taken advantage of, discriminated against, or left vulnerable by a lack of protections in the workplace. Both in the days of my grandparents, and today, employers try to drive apart immigrants from different countries or races, or pit them against each other, so that it is harder for them to unite in dealing with issues in the workplace. But when workers stand together they have the power to change things that aren’t right, and even the playing field. That’s why, as a union, we try to help immigrants however we can–whether it’s creating a path to citizenship, or bargaining for important workplace protections. Your union is truly your family when your support system is far away, and even if it isn’t. 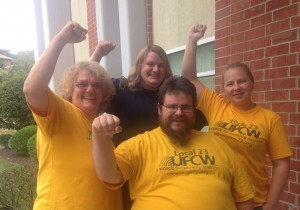 When my father died, I had been working for our union, the UFCW, for 33 years. I was walking out of the church from his funeral, and saw the former director who had hired me to work at UFCW coming in. He was over eighty years old, had been retired for 20 years, and had traveled over 100 miles to be there. That really demonstrated to me how union people are your family. Whether someone is an immigrant or not, unions are avenues and vehicles for people to improve their lives. They are made up of groups of people that provide physical and psychological support, and can be the difference in feeling like you are powerless to change something, to feeling empowered to make a difference. Tell us about your grandparents’ work story! 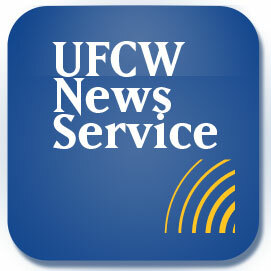 Send submissions to Submissions@ufcw.org, post on our facebook page, or fill out an online form here. 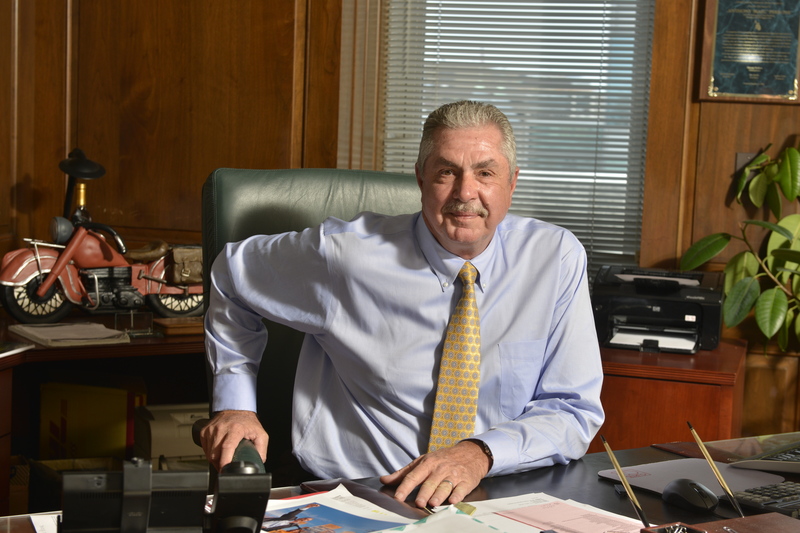 WASHINGTON, D.C. — Joe Hansen, International President of the United Food and Commercial Workers International Union (UFCW), today released the following statement in response to President Obama’s executive order designed to ensure that the United States only does business with companies that respect workers’ rights. “The President’s executive order makes clear that the U.S. will not do business with companies that violate our nation’s labor laws. Employers who cheat workers out of wages, fail to provide safe workplaces, and illegally retaliate against those who try to organize a union should never be considered for a government contract. On the other hand, companies that uphold our laws and treat their workers with dignity and respect should be given preference when it comes to federal procurement. “Today’s announcement builds on years of work by UFCW members and our partner unions to create a system that is fairer for workers and encourages a race to the top when it comes to labor standards. These efforts included a 2013 resolution passed unanimously by delegates to the UFCW convention calling on the creation of a ‘High Road’ procurement process. “In the last several years, the meat and poultry industries have received over 1 billion dollars from taxpayers. Many workers in these industries work full-time yet are not paid enough to support themselves or their families. They also must endure dangerous workplace conditions and chronic underreporting of injuries by their employers. This executive order sends a message that companies who engage in this type of anti-worker activity must change the way they do business or lose access to their government contracts.